Allows you to specify options for any specific tracker within all transfers. This controls how transfers with multiple tracker groups are announced. The original BitTorrent multi-tracker specification calls for stopping on the first working group, but some users may prefer to announce to all tracker groups at the same time. This is generally unnecessary because PEX peer exchange will provide access to the full swarm so long as at least one peer connection is made. 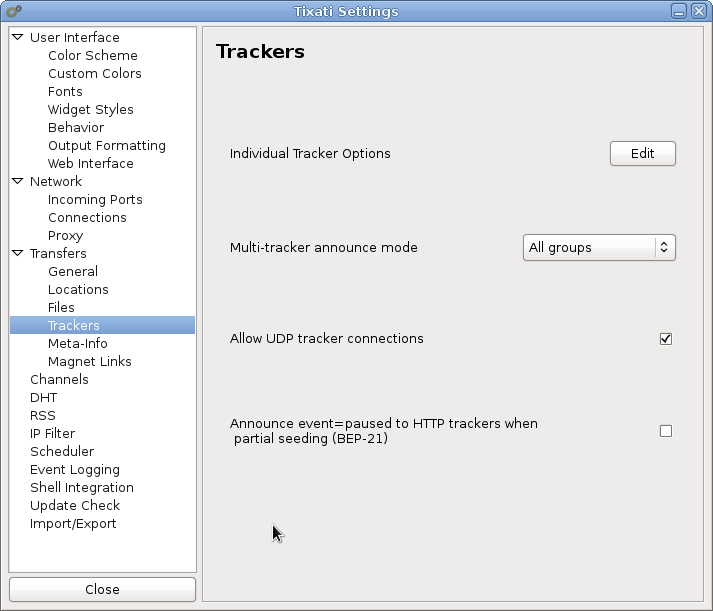 This setting when turned on announces to trackers 'event=paused', when you are seeding a partial torrent file.